Improving weather signals more success! Lucy Breaks the 700 barrier! 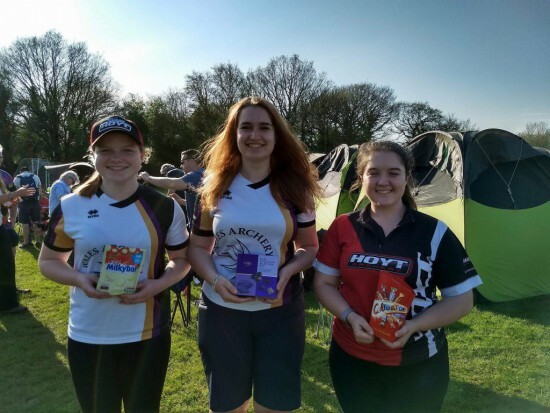 Lucy broke another British Junior Record (previously hers with 689) and was just a single point off the senior national record, with a stunning display at the Cleve Archers World Record Status Spring Tournament! This is a world class score WA720 and so early in the outdoor season! Lucy, Ella & Grace, good day at Cleve Archers World Record Status event. There was also a personal best for Ella Gibson who finished 2nd and Grace Chappell 3rd for a clean Deer Park sweep in the ladies junior compound! Sunday saw Chloe A’Bear scoring 1288 and breaking Lucy’s B4 County Record! There were also excellent performances from Rosie Preece scoring 1260 on a Bristol 4 and Alex Parker with 1228 also on a Bristol 4. Imogen Colenutt beat her Personal Best with an excellent 914 on a Bristol 3 Barebow round. We began our open community programme on Saturday afternoon, slightly dodgy weather conditions that turned out OK and a reasonable attendance which we hope to build on as the months progress! 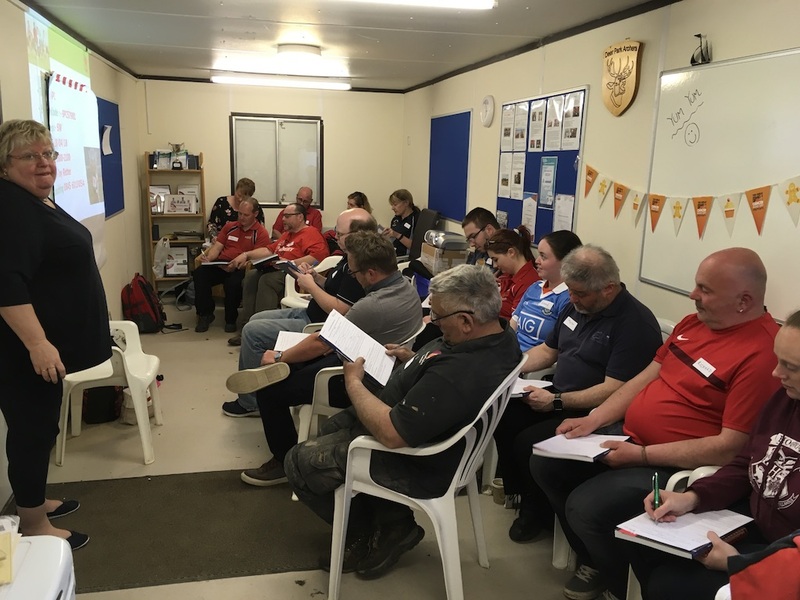 We ran an NSPCC course for 20 of our coaches, safeguarding and welfare officers. Certainly thought proving, thoroughly good decision to invest in this course, with over £600 contributed through a grant from the Ontarget Programme. Packed container for our Safeguarding Workshop. 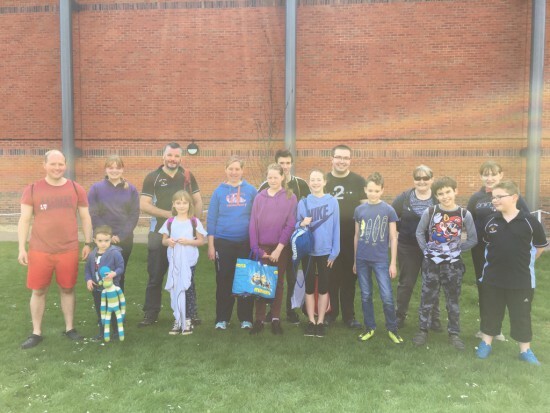 Our weekly junior only programme continued over the weekend, another big turnout, plenty of Coaching, a team challenge and refreshments. 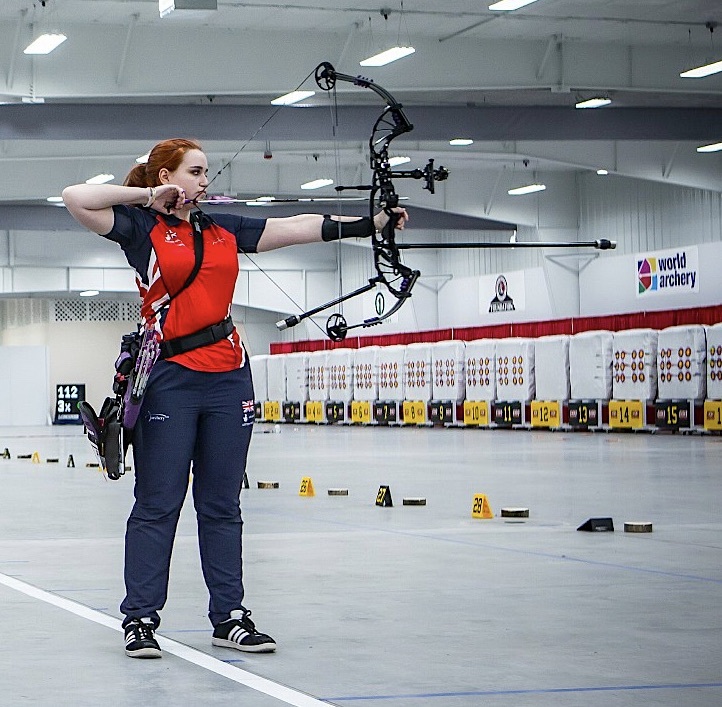 We’re delighted to announce that Ella Gibson has been selected for the GB squad for the first event of the 2018 European Archery Youth Cup, taking place in Rovereto, Italy from the 14-19 May. Ella and Holly Clifford were both selected and met the criteria, unfortunately Holly is unable to travel as she has important exams on those dates. Well done both. Gloucestershire School Games Programme gets even larger! Entries continual to grow particularly at Primary School Level where teams (9 per team) participating may even break the 150 mark! Only 10 will qualify for the Level 3 County Championships! 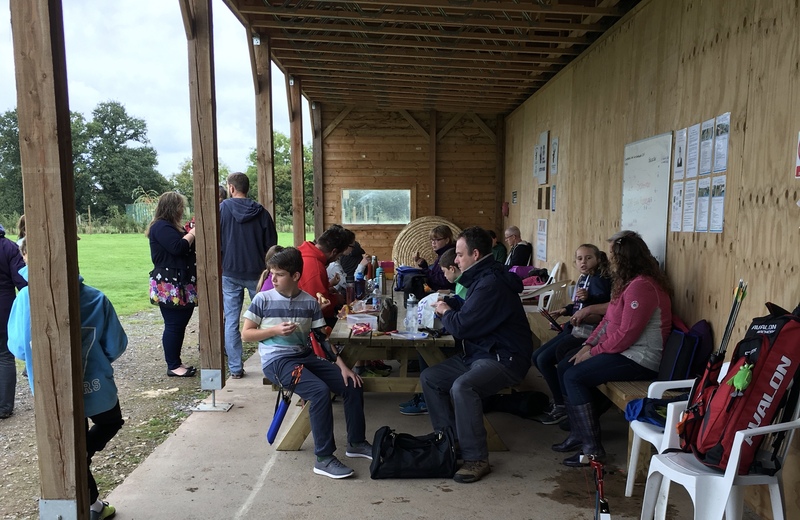 Last Thursday, yes the really hot day, saw one of the Level 2 District fixtures with 16 teams competing, using the revised Adapted kit targets, which was very successful. There are a further 14 events programmed, across the county, over the next month, all supported by Deer Park Archers volunteers and organised by Xperience Archery. Dual Range for Primary School Games events. Our Round Table Sponsored Swim Teams break Record! Well done to our sponsored swimmers who raised over £1200, much of that also boosted with gift aid! As well as supporting the round table over £1000 of that will be ring fenced for coach and archer development. 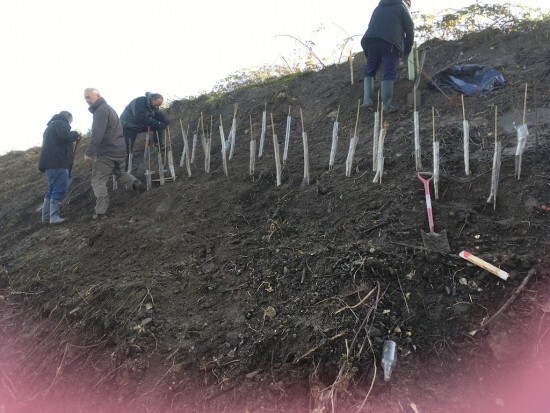 We are pleased to report that virtually 100% of the 1000+ trees and bushes we planted earlier this year have burst into life! Work continues developing the field course and improving access. Selective weed spraying has commenced and our annual fight against Himalayan Balsam(invasive species) along our stream bank has commenced! Taking positive action to improve our environment.